This fault came on slowly, initially the power was quite good but sometimes (especially in damp weather) the acceleration was poor and the engine did not sound as smooth as usual. The tick over was usually OK but a slight unevenness was noticed on occasions. At other times the engine pulled well. After a while the acceleration was poor all of the time and the engine had a definite misfire. The owner got the usual 'Nikasil' suggestions as being the cause. 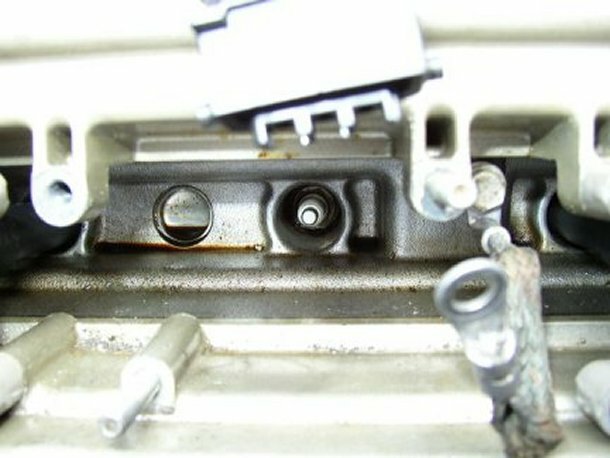 The oil pools in the rear two cylinders to start with (depending on which seal fails first) due to the backward cant of the engine. 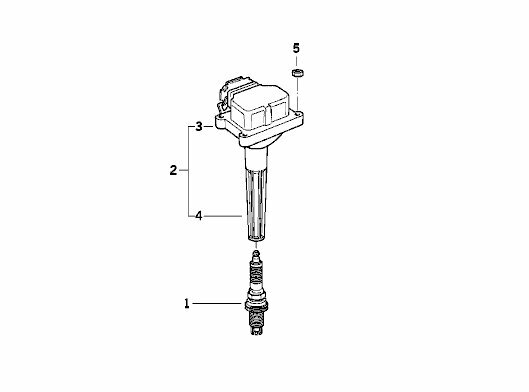 The oil damages the HT stubs over a period of time and this causes the spark to track down the side of the plug rather than across the electrodes. Fortunately the HT stubs (item 4 in the picture above) are available separately for around £6 each. Replacement of the stubs cured the problem. The full repair is shown here. I have never seen an M60 or M62 engine that did not leak some oil from the Dowty seals to some extent!